I have the pleasure to welcome you to the Department of Yarn Engineering at Bangladesh University of Textiles. Here I like to convey to all about the department’s activities, vision, faculties, offices, staffs & students who are very much dedicated to up hold the image of the academic & administrative achievements. 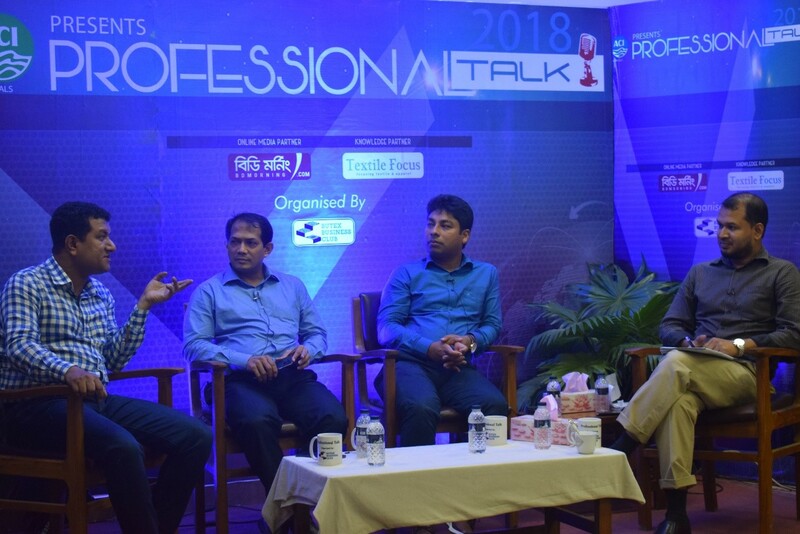 The primary aim of the program is to create textile engineering graduates to meet the growing backward linkage demand of the textiles and ready-made garment sector which is the highest foreign currency earning sector of Bangladesh. 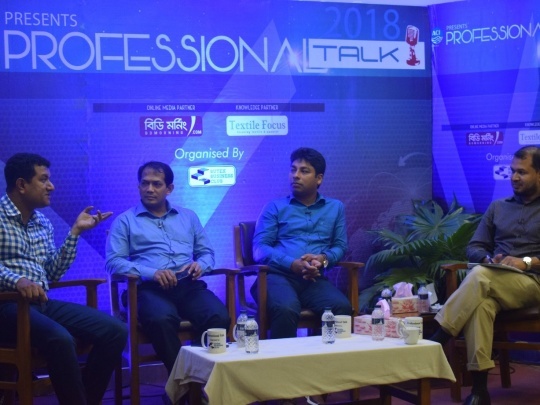 All of our faculty members possess an excellent academic background and eligible to transfer their knowledge to develop student, who is suitable to manage a challenging situation. 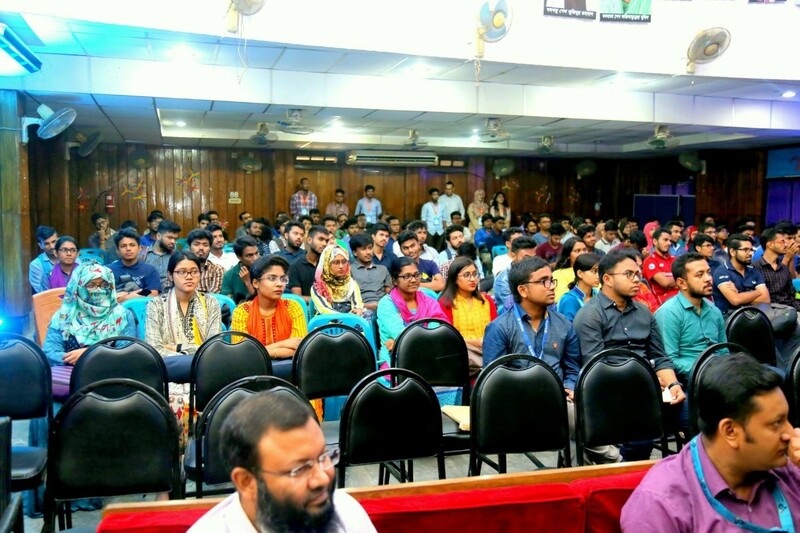 There is no doubt in their motivation and commitments to lead and build the Department of Yarn Engineering of this university as one of the best textile departments in Bangladesh. Textile is the main sector on which foreign exchange earning of Bangladesh mostly depends and Spinning is one of the main sub-sector of textile. At present there are several hundreds of spinning industries in Bangladesh, which are running by different spinners most of them are graduated from this University with specialization in Yarn Engineering. This department has full production length laboratory which is equipped with modern and conventional machinery of yarn manufacturing so that students can learn practical knowledge. The department arranges frequent industrial tour for gaining the latest trend and set up of the industries. Students of this department are given comprehensive knowledge about textile fibers and techniques to convert them into yarn with the best possible available parameters and at most economical rates. The department also offers testing of fiber, yarn and fabric. The department carries out research and development projects for the spinning industry also. To develop Yarn Engineering department as a remarkable strong backbone of our textile and Jute sector for sustainable socio-economic development of Bangladesh. To provide effective and appropriate education to students to meet the existing requirement of Textile sector including challenge of upcoming advance technological development and capable of solving professional problems. To build up high quality bachelor of textile engineer (Yarn), who can contribute textile sector from the first day of profession. To develop highly academic and professional knowledgeable faculty members and staffs for enhance effective education and research. To create research facilities in the branches of polymer, fiber, composite and yarn manufacturing. To reduce the dependency of textile sector on foreign expertise. To improve the consciousness regarding use of domestic raw materials, environment and different national issues etc. among the teachers, students and stakeholders through different seminars, symposiums and workshops. Professor Dr. Hosne Ara Begum is the dean of the Faculty of Textile Engineering. She is the first female technical teacher of BUTEX who is tuning and teaching students with full heart in the areas of Textile fiber, Jute and Cotton yarn manufacturing including Textile Testing and Quality Control. She had started her carrier as a Lecturer in the year of 1995 through public service commission and ministry of education at former College of Textile Technology, now BUTEX securing first position among some newly appointed lecturers. She was the first registrar of BUTEX and successfully run seven months and accomplished up to fifth syndicate of newly born university. She was the hall super as well as the hall provost of Sheikh Hasina Hall for more than 10 years. Many successful female textile engineers have come out from the hall and enjoyed facilities of good governance at her time. She was the 1st editor of ‘Bangladesh Journal of Textile Science and Engineering’(BJTSE), which is the only journal of BUTEX. Now she is engaging herself to distribute her experience and knowledge among students along with doing research on different natural fibers mainly Jute, Areca and Banana with asustainable and environmental friendly way. More than 15 Thesis(M.Sc) have been completed through her supervision. She is a fellow member of Institute of Engineers of Bangladesh (IEB) and life member of Institute of Textile Engineers and Technologist(ITET), Bangladesh. 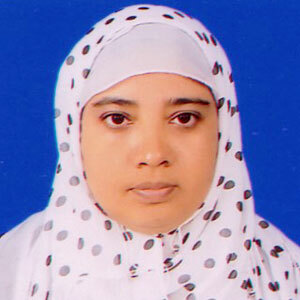 She is an external member of a research technical committee of Bangladesh Jute Research Institute (BJRI). 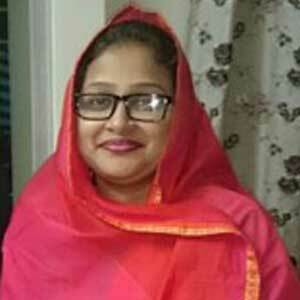 She is also a member of a technical committee ‘Feasibility study of Viscose Rayon Manufacturing from Jute Fiber’ of Bangladesh Jute Mill Corporation (BJMC). Dr. Hosne Ara achieved very good academic consequences throughout her pathway. In her level of education she achieved some national and international scholarship. She completed her SSC from Binnaty High School, a remote high school of Kishoregong and HSC from Kishoregong Mohila College with first division. She accomplish her B.Sc. in Textile Technology from College of Textile Technology with 1st class 1st position under the University of Dhaka. She completed her M.Sc. in Textile Engineering degree from Technical University Dresden, Germany beneath prestigious DAAD (German Academic Exchange Commission) Scholarship from 2001 with a very good result. She was awarded Doctor of Philosophy in mechanical engineering from Bangladesh University of Engineering and Technology (BUET). Hosne Ara Begum, Subrata Kumar Saha, Abu Bakr Siddique, Thomas Stegmaier, Investigation on the Spinability of Fine Areca Fiber, Journal of The Textile Institute,2019. Zahidul Islam, A.N.M Mashudur Rahman Hosne Ara Begum, Comparative Study of Areca Fiber Reinforced Polyester Composite and Plywood, European Scientific Journal, October 2018. Hosne Ara Begum, Md. RamizHowlader, Md. Abu Bakr Siddique, Ayub Nabi Khan, Investigation of Functional Properties Changing in Different Chemical Treatment of Various Cellulosic Fiber using FTIR, Saudi Journal of Engineering and Technology, Volume-2, Issue-7, Page 280-285. Mohammad Billal Hossain, Dr. Hosne Ara Begum, The Effect of Chemical Treatment on Tensile Strength and Weight of Banana Stem fiber after Treating with Various Chemical, IOSR Journal of Dental and Medical Science, Vol 16, Issue 7 Ver IV, July 2017. Tipu Sultan, HosneAra Begum, Effect of Carding Ratio of Jute Finisher Card on Processing Performance and Sliver Quality, Internation Journal of Textile Science, 2017, 6(4):99-104. Mohammad Billal Hossain, Dr. Hosne Ara Begum, American Journal of Engineering Research, 2017, Volume 6, Issue 1, 322-327. A Begum and C. Karmoker , A Novel Technique to use Waste Jute Fibre as a Blend Component with Polyester. Bangladesh Journal of Physics .Vol. 18. Dec 2015. A Begum, M.M. Helali, A way to Reduce Friction between Ring and Traveler of a Spinning Frame, Bangladesh Journal of Scientific and Industrial Research 47(4),421-426,2012. Tarik Hossain, M.U Jubayer, HosneAra Begum, Study on the Construction of Polyethylene Substitute Fabrics produced in Handlooms from Jute and Jute cotton Blended Yarn, Bangladesh Journal of Jute and Fiber Research 2008,28(2):31-39. Moslem Uddin, Md. Shahdullah, Md. Asaduzzaman, Hosne Ara Begum, Effect of Blend Ratio and Material Preparation on the Physical Properties of Jute-Cotton Blended Rotor Spun Yarn, Journal of Textile Engineering Vol: TE 01, No.01, PP 60 – 66 . Sharif Ahmed, Kazi Showrov, Hosne Ara Begum, Comparative Analysis of Ring, Compact and Siro-Spun Yarn, Journal of Textile Engineering, Vol: TE 02, No.01, PP 52 – 59. HosneAraBegum,Contribution of Textiles and Clothing Industry on Socio-Economic Development of Bangladesh.”Arranged by ITET, Dhaka Bangladesh, 2014. Introduction to Textile Engineering,Dr. HosneAra, Dr. A.B. Siddique, Md. Rashedul Islam, Sharif Ahmed, Books Fair Publications, 2012, Bangladesh. Textile Fiber: Natural Fiber, Dr. HosneAra, Dr. A.B. Siddique, Books Fair Publications, 2013, Bangladesh. Production Planning and Control,Md. 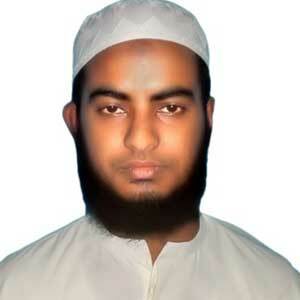 Shafiqur Rahman, Md. 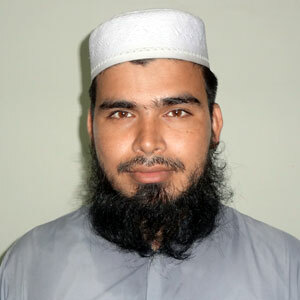 Ahsan Habib,Dr. A.B. Siddique Dr. HosneAra,Books Fair Publications, 2013 , Dhaka, Bangladesh. 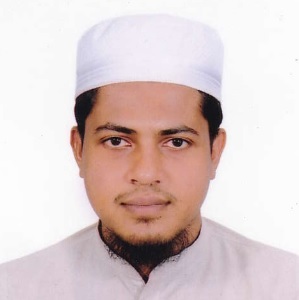 Md Zahidul Islam, working as Assistant Professor in Department of Yarn Engineering under the Faculty of Textile Engineering, is expert in Spinning Technology, fiber properties, machine setting, recent development of spinning machineries. He joined in this University in 2003. He is in charge of hall provost of Shahid Aziz Hall and also member of Proctorial Body of the University. He is an external member of jute products Committee under BSTI. 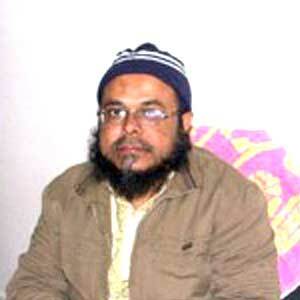 Md Zahidul Islam passed S.S.C in 1991 from Rajshahi Division with 75% of the Total marks and H.S.C from Govt. Science College, Tejgaon, Dhaka in 1993 with first class. He obtained B.Sc in Textile Technology Degree from BUTEX in 1997, Year of passing was 1999. He completed Masters in Textile Engineering with specialization of Yarn Manufacturing, first batch of BUTEX in 2015. Training of Trainers (TOT) programme on “Spinning, Weaving & Knitting” (From 23.08.09 to 27.08.09) conducted by UNIDO experts from Niederrhein University of Germany. UNIDO-BSTI Training Programme on the requirements of the “WRAP standard and their implementation” held at the Bangladesh Standards and Testing Institution (BSTI) on 15 October 2008. Mr. Islam Completed his B. Sc. In Textile Technology from former college of Textile Technology in 2006 and M. Sc. In Textile Engineering from Bangladesh University of Textiles in 2015 with CGPA 3.78 (1st class 1st in yarn engineering Department). He has also achieved Diploma in Social Compliance from Bangladesh Institute of Management in 2011.He completed his H.S.C from Dhaka college and S.S.C from Motijheel Govt. Boys’ High School with star marks. Mr. Sharif Ahmed started his professional life in Youth Spinning Mills Ltd, a renowned spinning mill as a production officer after completion of his graduation. After gathering factory experience he came to teaching profession joining to National Institute of Textile Engineering and Research (NITER) as a lecturer. 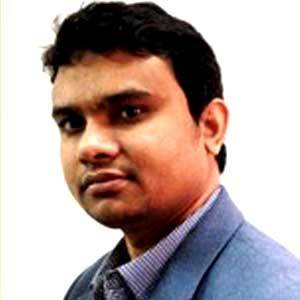 Later he joined to Bangladesh University of Textiles (BUTEX) as a lecturer on 17 December, 2013. Sharif Ahmed Completed his MSc. Degree from Bangladesh University of Textiles. He also completed his BSc. Degree from the same university. He passed H.S.C. from Movement Science College and S.S.C. from Abdullapur Idris Ali High School from his birth place Kishoregonj. Toufiqua Siddiqua is working in the department of Yarn Engineering as a lecturer. 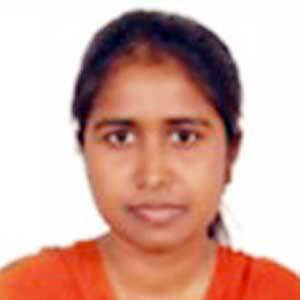 Before Joining in Bangladesh University of Textiles she has worked in Youth Spinning Mills Ltd. as a production officer and National Institute of Textile Engineering and Research as a lecturer in Department of Yarn Manufacturing. She has achieved “Rieter Award 2016”. She attended professional training on Training of Trainers (TOT) Program on “Spinning, Weaving, Knitting and Smart Textiles” conducted by UNIDO experts from Niederrhine University of Germany. Toufiqua Siddiqua has competed her B.Sc. in Textile Engineering (Yarn Manufacturing) from Bangladesh University of Textiles in 2013 with first position in this department. She has completed S.S.C. in 2005 from Ulipur Government Girls’ High School with GPA 5 and H.S.C. in 2007 from Ulipur Government College with GPA 5 under Rajshahi Board. She is now continuing her M.Sc. degree in Department of Yarn Engineering in Bangladesh University of Textiles. She had awarded primary, junior, S.S.C. and H.S.C. Scholarship. Md. Rubel Khan has joined in Bangladesh University of Textiles as a Lecturer in the Department of Yarn Engineering on October, 2016. After completing his graduation, he started his career as a Senior Quality control officer in Zaber Spinning Mills Ltd (A sister concern of Noman group of Bangladesh) in 2015. After almost 1 year of his Industrial profession, he joined in National Institute of Textile Engineering and Research (NITER) in 2016 as lecturer, Department of Yarn Engineering. Applying new methods (Such as LEAN, TQM) in Spinning Sector to improve productivity & Quality. Md. Rubel Khan has completed his B.Sc in Yarn Engineering (with 1st position in Yarn Engineering) from BUTEX in 2013. He is now continuing his M.Sc from the same university. He completed his S.S.C. from Naogaon High School under Comilla Board and H.S.C. 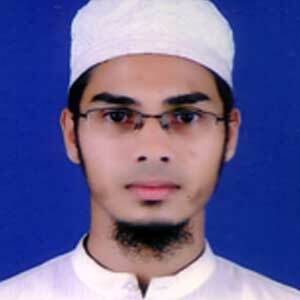 from Birsrestha Noor-Mohammad Rifles Public School & College under Dhaka Board with GPA-5.00 on 2007 & 2009 respectively. He was also provided with primary and other different scholarships. After completing his B.Sc. in Textile Engineering with specialization in Yarn Manufacturing, Mr. Md. Bashar Uddin started his career as an Assistant Engineer of Maintenance Department in Rahmat Spinning Mills Limited (A concern of Rahmat Group) in June, 2017. With an experience of industrial attachment he has joined as a Lecturer in the Department of Yarn Engineering under the faculty of Textile Engineering at BUTEX in 28th January, 2018. Mr. Md. 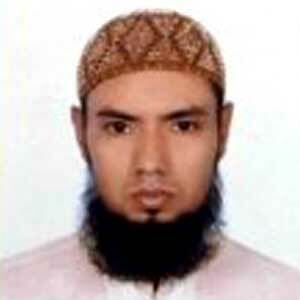 Bashar Uddin has an outstanding academic background. He is now enrolled in M.Sc. in Textile Engineering (Specialization in Yarn Engineering) in BUTEX. He completed his B.Sc. in Textile Engineering specialization in Yarn Manufacturing securing first position with CGPA-3.83 from BUTEX. He completed his H.S.C from New Govt. Degree College, Rajshahi and S.S.C from B.L Govt. high School, Sirajganj both with GPA-5.00. He achieved board scholarship in both S.S.C and H.S.C and also was awarded junior and primary scholarships. After completing his B.Sc. in Textile Engineering with specialization in Yarn Manufacturing, Samara Islam Nishi started her career as a Trainee Merchandiser in Colombus Textilvertrieb GmbH in March, 2017. 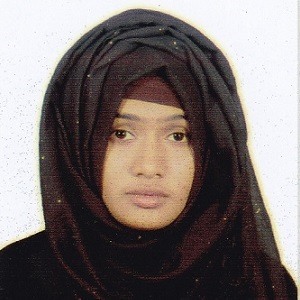 Then she joined in Northern University Bangladesh as a Lecturer in Dept. of Yarn Engineering in September, 2017. With these experiences, she has joined as a Lecturer in the Department of Yarn Engineering under the faculty of Textile Engineering at BUTEX in 1st April, 2018. After joining in BUTEX, she has performed one month long professional training in Matin Spinning Mills Ltd.
Samara Islam Nishi has an outstanding academic background. She is now enrolled in M.Sc. in Textile Engineering (Specialization in Yarn Engineering) in BUTEX. She completed his B.Sc. in Textile Engineering specialization in Yarn Manufacturing securing second position with CGPA-3.74 from BUTEX. He completed his H.S.C from Rajuk Uttara Model College, Dhaka and S.S.C from Lohagara Pilot high School, Jessore both with GPA-5.00. She achieved board scholarship in S.S.C and also was awarded junior scholarship.